See - Cydia apps to customize slide to unlock text. Notification Center: Hide the items from notification center that’s not useful. Status bar: I don’t like battery percentage on Status bar, I just installed HideMeX and Hided that, isn’t it simple? Alerts: Now, you can hide annoying alerts from Notification center. Animation: If annoying animation slows down your iPhone, just hide those animation at all. Lock screen: You don’t like camera icon, just install HideMeX cydia tweak and hide it. Choose among popular Cydia lockscreen tweaks or hide them. App Switcher: Do you wanna hide couple of things from AppSwitcher? HideMeX offers features for that too. 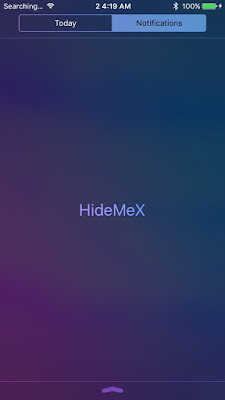 Folders: HideMeX allows user to customize the look of folders too. Control Center: HideMeX is ultimate Cydia tweak that allows user to hide almost every unused items from Control Center. No need to install bunch of Cydia tweaks for that. Dock: Hide Background wallpaper from Dock or just whole dock using HideMeX Cydia Tweak. 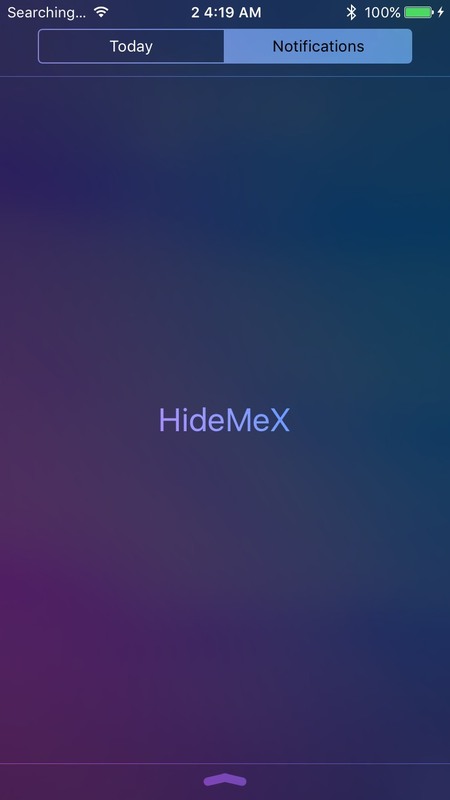 Price - HideMeX is available on BigBoss repo and other best Cydia sources for FREE. Customize Control Center Background Color by RGB and alpha. You can push the Main View up when Control Center is transition. You can hide unused section. 15 toggles: location,locationfaker, airplane, wifi, bluetooth, ringer muted, edge, 3G/LTE, vibrate, hotspot, VPN, auto brightness, auto lock, donotdisturb, orientation locked. Moreover, CC Quick Pro comes with animation and gesture. That is, you can push the MainView up when ControlCenter is shown, and swipe up than original height and drag off to quit app or lock device. You can also modify the height that activates the gesture functions. 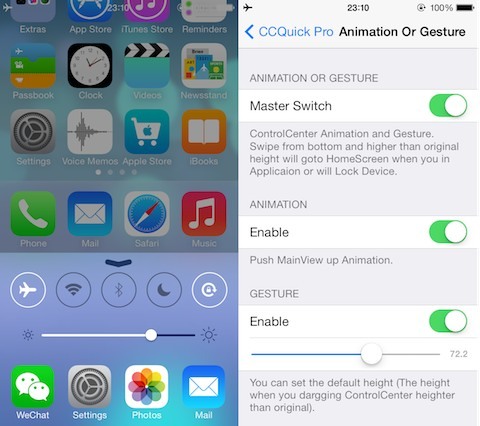 Price - CC Quick Pro is available on Big Boss repo for FREE. Disbale sending blue ticks to your contacts. Disable Typing Indicator - Other people will not see that you have received their messages. Disable updating your lastseen when you open WhatsApp. You won't be able to see others as Online or their lastseen. ‘My contacts’ privacy - allows you to block contacts from watching your picture/status/last seen. Call Recorder - Record all incoming and outgoing calls. Send Return Key - Replace chat textfield keyboard return key with send button. Last Message Status - Add status of the last message in the chat list. Debug Menu - Show WhatsApp debug menu under Watusi settings. Tap To Record - Tap once to start recording and tap again to send or tap and slide to delete. Notification Name - Replace your contacts name on notifications with the name you saved in your contacts. Status Length - Increase status length from 139 to 256 characters. App Protection - Protection WhatsApp. Bypass Protection - You can enter name of the WiFi network on which you wish to bypass protection. You can also turn your iPhone into hotspot using MyWi 8 cracked app. iPad Full Screen by changing WhatsApp to any similar iPad-compatible app. Send offline messages by enabling the chat send button when you are not connected to the internet. Show keyboard directly after you enter a chat. Hide Camera Button from chat bar. Hide Call Button from chats navigation bar. Change Theme and Chat Style. 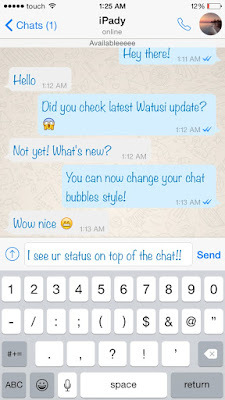 WATUSI Cydia tweak focuses mostly on customizing your WhatsApp. So if you frequently use WhatsApp then you must definitely try it. 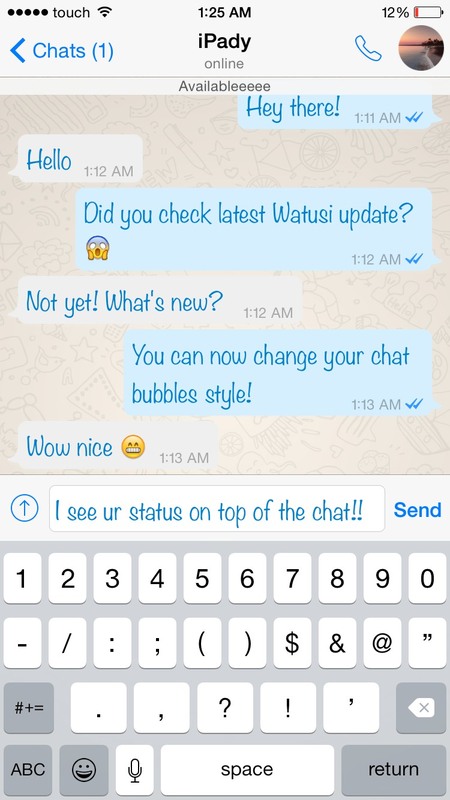 Price - WATUSI is available on Big Boss repo for FREE. Also See - Download Facebook videos using Cydia. So these were some of the best iOS 9 control center Cydia tweaks. Do try them and customize your iPhone/iPad for your personal use and exploit your iPhone to its fullest potential.